Lawrence Thompson Dickinson (Maryland/Tennessee, b. 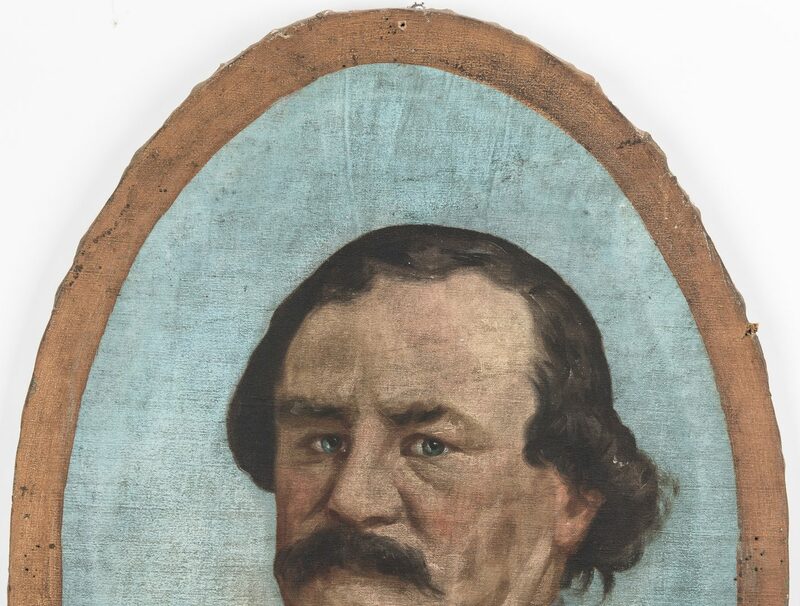 1843) oval oil on canvas portrait titled "Lieut. 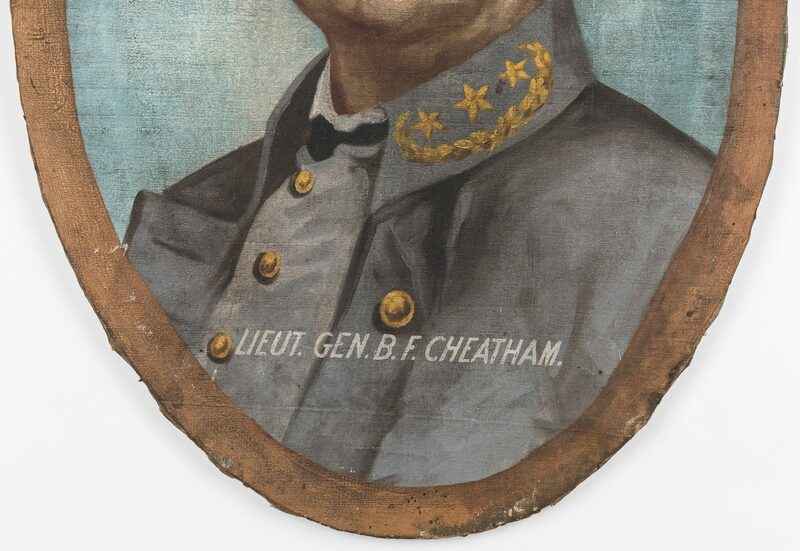 Gen. B. F. Cheatham". 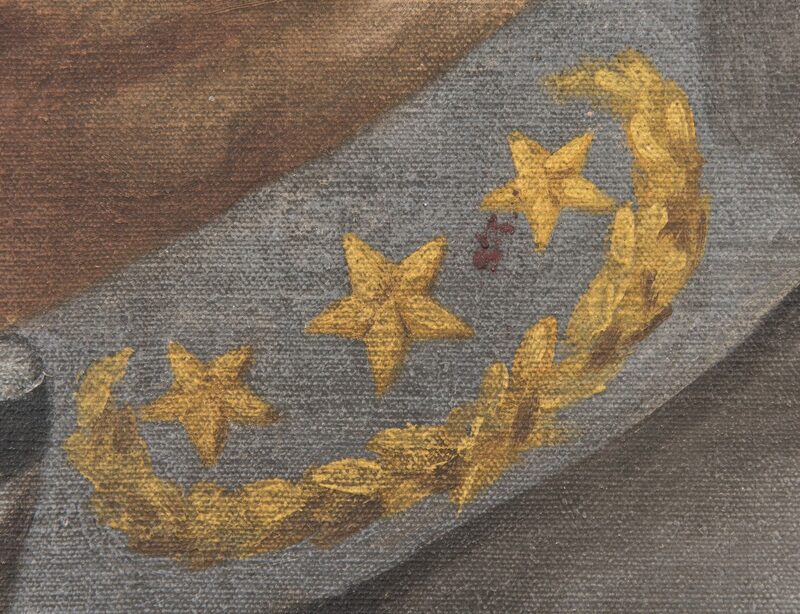 Depicts the portrait of Confederate States of America Lieutenant General Benjamin Franklin "Frank" Cheatham in uniform against a light blue background and surrounded by a light brown/gold border. Titled, lower center of canvas. Unsigned. Stamped "F. T. Foster at 160 Vine St. Ohio" top of stretcher, en verso. 41" H x 27 1/2" W. Late 19th century. 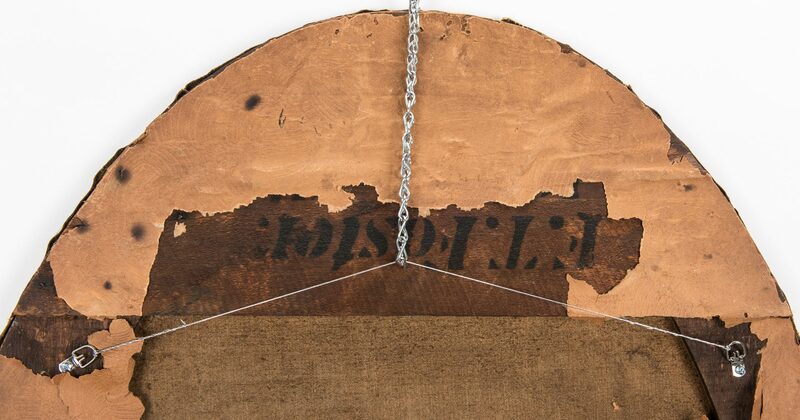 Provenance: Private Ringgold, Georgia collection. 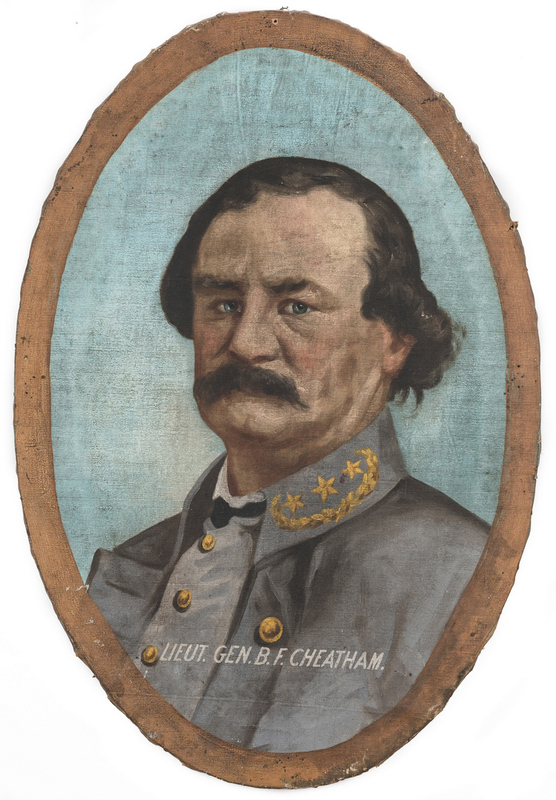 Note: While this painting is unsigned, it was executed in the same style as the signed "Maj. Gen. P. R. Cleburne" example, Lot 500, in the Case Antiques July 14, 2018 Summer auction. 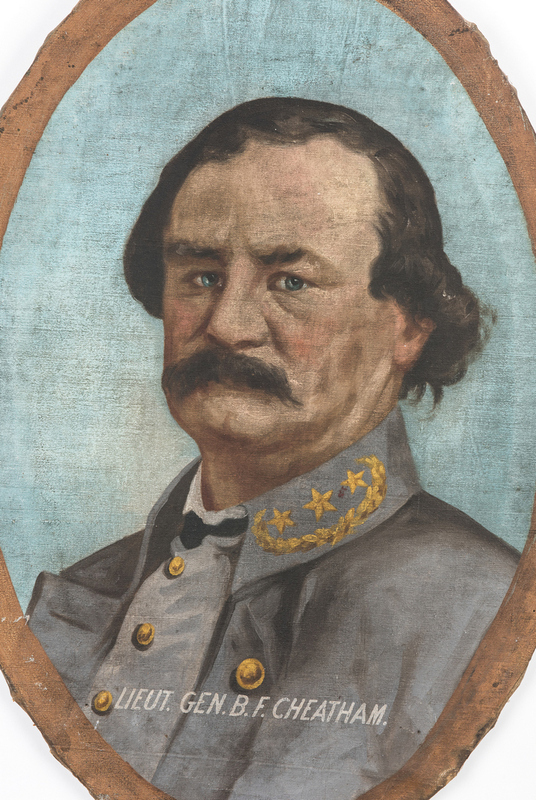 Biography: L. T. Dickinson born June 21, 1843 and enlisted August 25, 1862 in Charlottesville, VA as private in the 1st Maryland Cavalry, Company A. Dickinson served for the duration of the war, including at Gettysburg where he acted as a courier for General Richard S. Ewell. 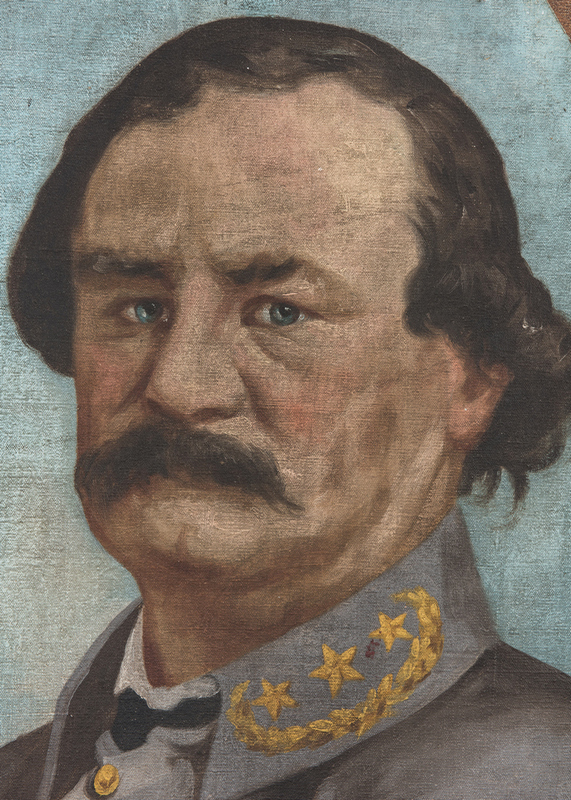 After the war he served as the Commander of N. B. Forrest Camp, Chattanooga, TN. Dickinson was the author and illustrator of a number of Civil War related books, including "Services of a Maryland Command" Confederate Veteran 2, 1894, and "Personal Recollections and Experiences in the Confederate Army, 1861-1865", 1897, in addition to illustrations for the "Confederate Veteran" magazine. He also designed the limestone gate and wrought iron battle flag gate for the Confederate Cemetery, Chattanooga, Tennessee, erected in 1901. (See: "Confederate Veteran: Published Monthly in the Interest of Confederate Veterans and Kindred Topics", Volume II, Broadfoot Publishing Company, 1894). Note: Colonel F. T. Foster was the Chairman of the Mexicans Veterans Arrangement, Mexican War. 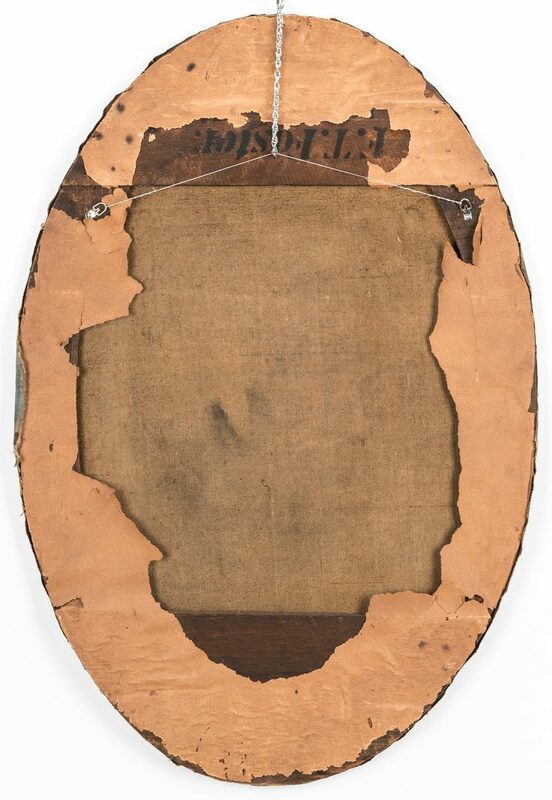 CONDITION: Overall good condition with surface grime, scratches, stains, to surface of canvas. Pinprick holes to canvas, concentrated on light brown border. Overall buckling to canvas. Stretcher marks visible to majority of perimeter.